As we all know that the LED flashlights are use batteries mostly. But a new high-tech flashlight called Light for Life become available to order. What's special about it? Well, the flashlight uses three LEDs, but its key component is Flashpoint Power technology, an ultracapacitor energy storage system from Ivus Energy Innovations. Light for Life recharges in just 90 seconds and shines at 90 lumens for 90 minutes per charge. 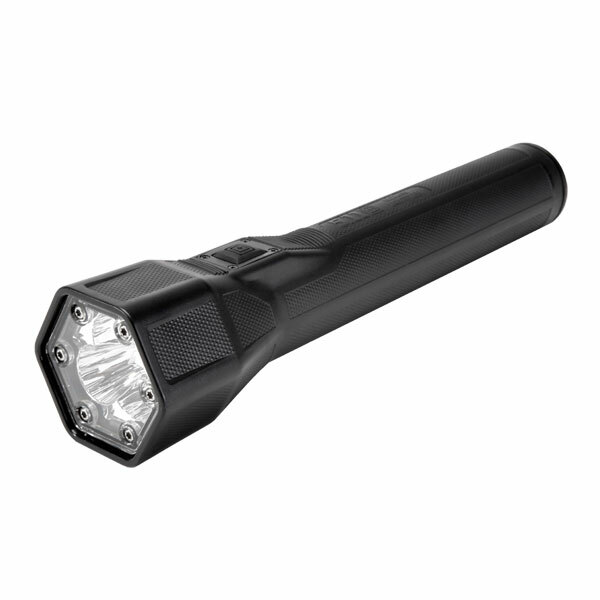 The flashlight has three modes: bright (270 peak lumens), standard (90 lumens), and strobe, which is good for dance parties or scaring the neighbors' dog and kids (OK, I'm kidding, but you get the picture). According to 5.11 Tactical, the 50,000-hour LEDs never have to be replaced and the flashlight is engineered to "offer 10 years of maintenance-free service under typical conditions." (You can recharge it up 50,000 times or one time a day for 135 years.) I got a chance to play around with the thing at a recent event, and I have to say I was pretty impressed. It's lighter (16 ounces) than it looks, and it feels very durable. The one question I asked was: what happens when the power goes out and you have to recharge the thing? Answer: it comes with a 12V DC automotive charger, so you can use your car to charge it up in the event of a power outage. The only drawback: Light for Life costs a whopping $169.99. But 5.11 Tactical says that when you add up the cost of all those D batteries over the lifetime of a battery-powered police flashlight, it's still a deal. And then there's all that good karma you get for not chucking those batteries into the garbage or landfill. It's hard to put a price on that.